Fall season – do you love it or hate it? Season changes and drastic temperature shifts are a challenge to the thyroid, even in healthy individuals. If temperature fluctuations affect your energy and mood, take note! Your thyroid gland has many responsibilities in the body, including regulating body temperature. Thyroid hormone adjusts itself once every seven days (the half-life of the hormone). When daytime temperatures vary 25 to 40 degrees over a period of a few days, this poses a unique stress to the thyroid system. Fall and spring are often the times of year when many people feel more sluggish, have low energy, or their mood may feel a bit flat. While seasonal allergies are commonly blamed for symptoms like these, it may actually be your thyroid crying out for some support! Nutrients that help support healthy thyroid function can help keep your energy and mood up. Your body will thank you! The Thyroid Energy Package (includes Thyroid Helper, Iosol Iodine, and Daily Energy Multiple Vitamin) are the core of natural thyroid and energy support supplements. 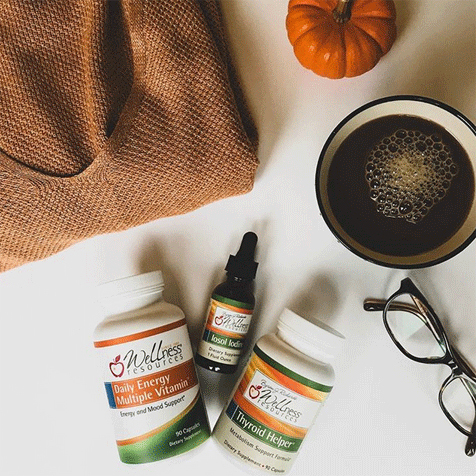 Take enough to keep your energy and mood up as the temperature fluctuates around – you’ll enter the fall season on the right metabolic foot and be glad you did!